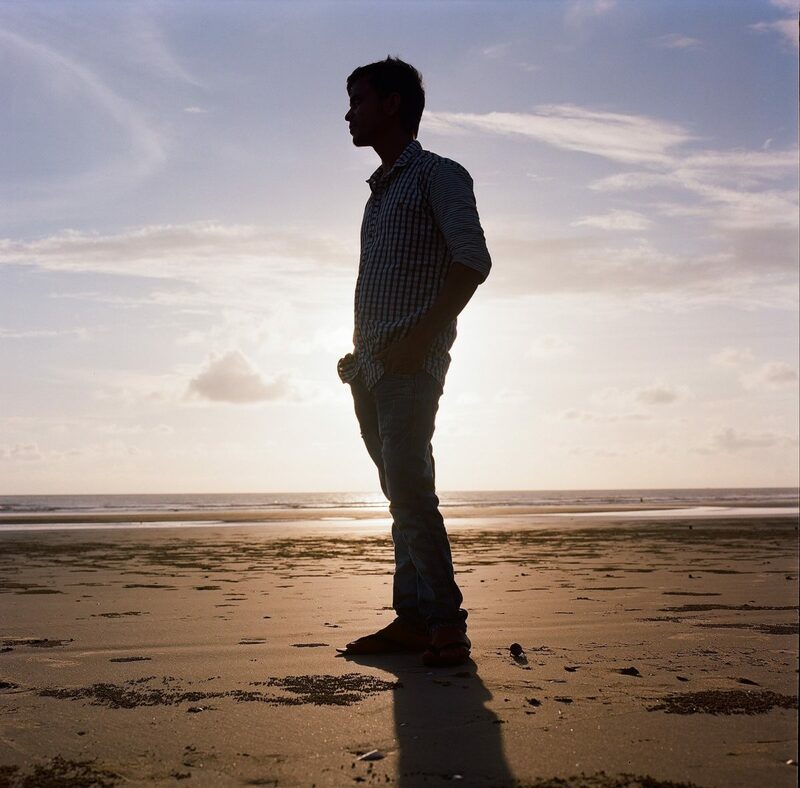 In Cox's Bazar, a trafficking survivor turns his ordeal into a force for good. 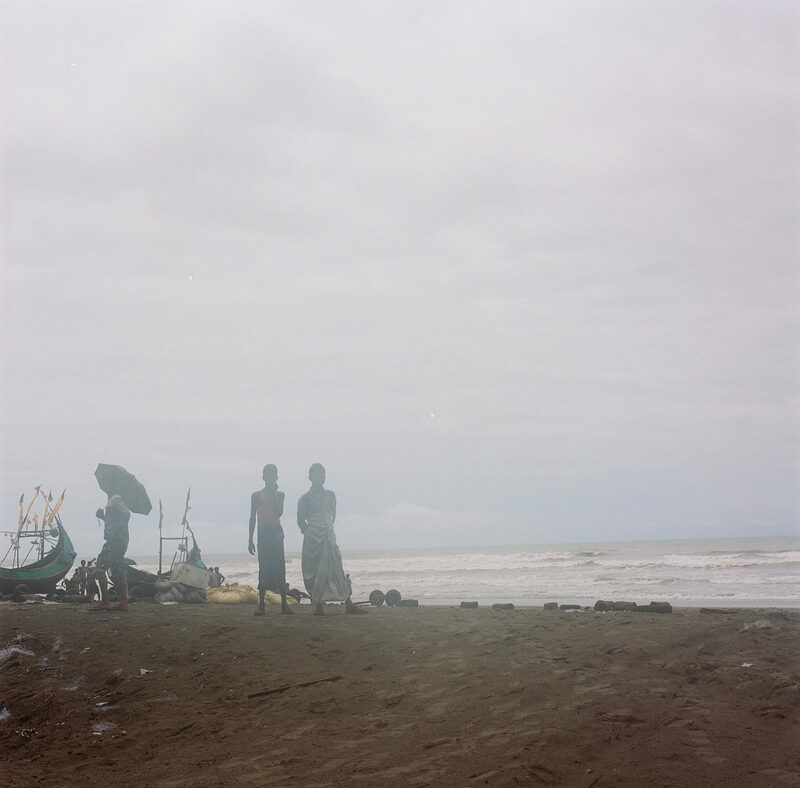 Cox’s Bazar, Bangladesh: More than a million and a half Bangladeshis are thought to be living in modern-day slavery. Winrock’s Bangladesh Counter Trafficking in Persons (BCTIP) project, funded by USAID, has given more than 800 trafficking survivors a place to heal and start a new life. BCTIP has helped more than 4,100 migrants learn about their rights and has given more 4,000 people at risk of trafficking the information that helps them avoid that fate. This is the story of Rakib Kishore, told in his own words. Rakib* is a trafficking survivor who turned his own horrifying experience into a force of good for others. Photos by Misty Keasler. I live in Cox’s Bazar in southwest Bangladesh. I grew up in a poor family. We struggled to get by. One day a neighbor came to my house and said there is a good job for you in Malaysia. You will earn 50,000 takas ($590 US) per month. Initially, we were taken in a small boat, 60-70 people in the same tiny boat. And they told us, the big ship is waiting for you in the deep sea. But they lied. The boat was not big. I was screaming, help me, help me. One of them gave me a big blow to the head and I almost fainted. 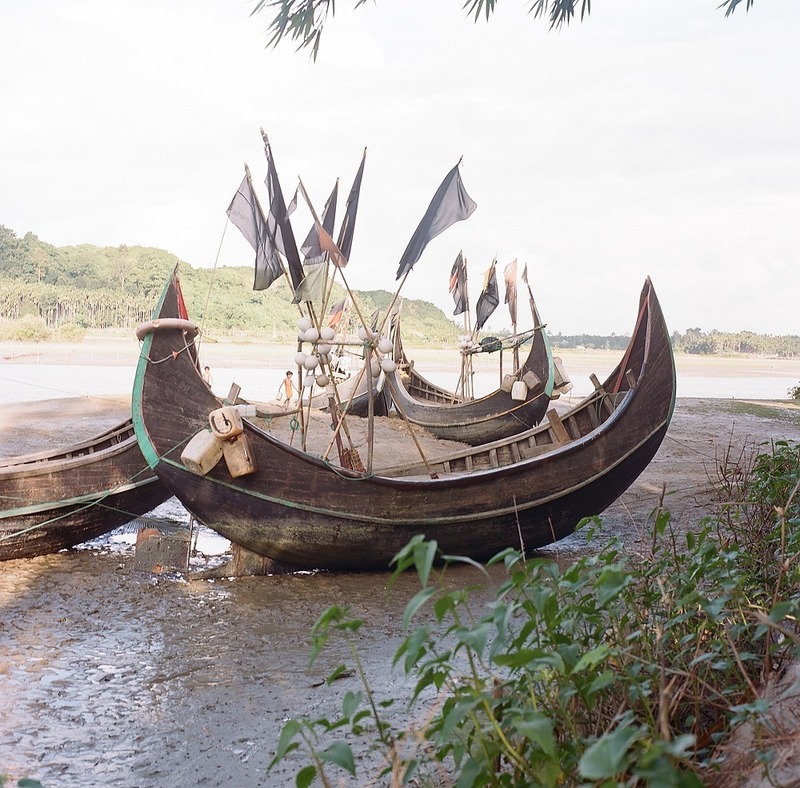 Fishing boats in the port at Cox’s Bazar in Bangladesh. There were 130 of us in the wooden fishing boat, and we were very crowded. This is how they fit 130 persons in such a boat: someone sat on my lap, and on his lap, there was another person. If we moved we were beaten, and if we talked or smiled, we were beaten. Sometimes we were not allowed to go to the toilet. Because I screamed when we started, I was put in a cage like a prisoner, a dark, tiny box below the deck. Sometimes I couldn’t breathe. There were six or seven of us in the cage. I was in the cage for 12 days, and on the third day I fainted. They almost threw me into the sea because they thought I was dead, but someone checked my pulse and found I was still alive. After two weeks, we were found by members of the Myanmar Navy. 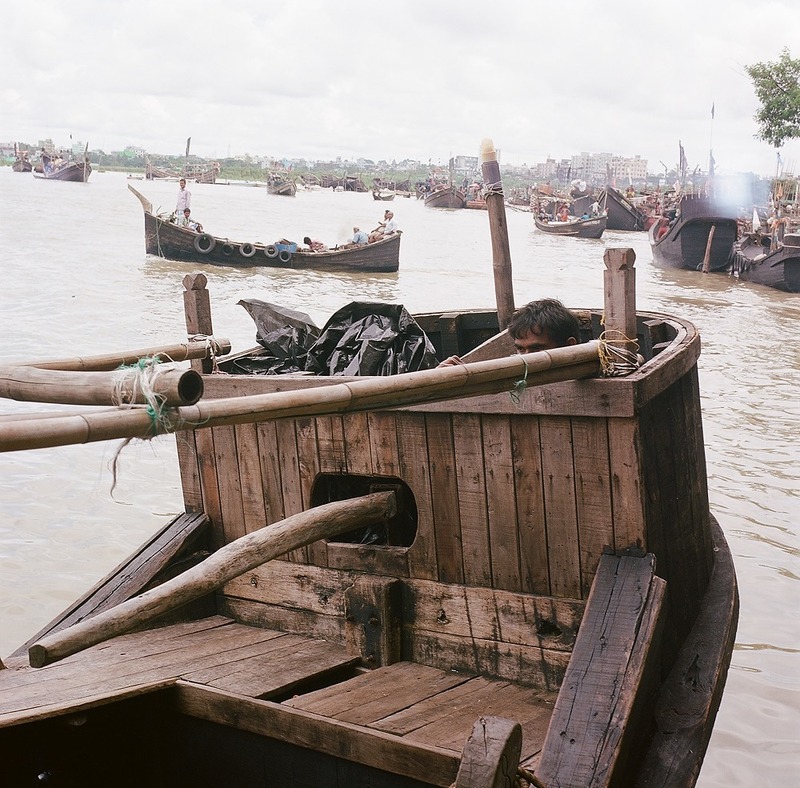 The boat man, the person in charge of us on the boat, told us to tell them nothing, to say only, “Bangladesh, Malaysia, Bangladesh, Malaysia.” The Navy officials asked us how many people were in the boat. One of us knew English and he was screaming, “We are 130 people.” The Navy persons started beating us. They would take us two at a time onto their boat, beat us and send us back. I hid in a water tank, so it was difficult to find me, but the boat man eventually handed me over and the Navy person started beating me with a thick bamboo stick on my neck, buttocks and arms. I was crying. I can’t recall this memory very well because I can’t tolerate it. The beach at Cox’s Bazar. Before long, we were caught by the Thai Navy. They tied our boat to their boat and started towing us toward Malaysia. They gave us some food and water and said they would take us to Malaysia. But after a day and night dragging our boat, they cut the rope. We had only 10 liters of reserve fuel and no sail. After one day we had no food. Sometimes we had to eat insects, and sometimes we had to eat the wood of the boat, which was almost rotten. Once we caught a big fish and ate it raw. Finally, one of us was close to death. He laid his head in my lap and said, “Can you please meet with my mother after I die?” When he died, he was thrown into the sea. After 10 days of floating we were found by fisherman of Sri Lanka. We were given water. Again, one of us was close to death. The fishermen were going to give him some water, but the boat man said, “He’s going to die. Don’t waste a drop of water on him.” I gave him some of my water. After 12 hours of traveling we finally reached the Sri Lankan coast. We were given food, water and IV saline. We could hardly stand up we had lost so much weight.We managed to convince one person who knew a little English that we were from Bangladesh and were forced to get onto the boat and that was why we were there. We tried to prove that we were not illegal immigrants. Finally we were sent to the Bangladeshi Embassy, where we were asked to write down our names and addresses in Bangla. I had been trying to find a phone to call my family. I was crying in a corner when one Sri Lankan Navy officer came to me and asked, “Why are you crying. Can I give you a phone to call home?” I called my family. They thought I had died at sea. They had even organized a funeral program. At first, my brother didn’t believe it was me. He said, tell us the names of your brothers and sisters. I was totally lost, crying a lot. But finally, I convinced him that I was his brother. Meanwhile, we were taken to jail. There was no fan and the room was too small for four. We couldn’t sleep well because the room was less than five feet, not long enough to stretch out. Luckily, we were helped by officers of the Red Crescent Society, who said if we wanted to write letters to our families, they would post them. So I wrote a letter to my family. I said, I am better now. Don’t worry about me. I’ll be back soon. I asked them to gather documents for me, to prove my identity. Finally, I got a reply from them. In this letter my family said that my letter arrived on the day of my sister’s wedding — and they all broke into tears. We had been in jail for three months but were not being repatriated. So we started fasting — a hunger strike. In a few days, we were given the assurance that we would be sent back to Bangladesh within seven days. On Day 8, one of the Sri Lankan officers called and said that all of our documents were ready, including our tickets. It took us three hours to fly from Columbo to Dhaka. The weather was so bad at first that we couldn’t land. But we finally made it home! One month later, someone from YPSA [Young Power in Social Action, a Winrock partner] visited me and I learned I could take a life-skills training course. I could become a driver. I had 45 days of training and was first in my class. After that, I learned about ANIRBAN [literally“the flame that never dies,” an organization that provides information and support to trafficking survivors]. I found a lot of people like me, and I learned that I’m not alone. I have friends. I have a community to help me. The training made me confident. YPSA and Winrock helped a lot. Many people are traveling to Malaysia through the sea route, and we thought, we have something to do for these people, so that they will not end up in a situation like us. We spoke with the border guard and the police and coast guard and set up a meeting. We got some information that one or two boats were going to start from the port heading for Malaysia. We got to the place before the boats left. We kept the traffickers away. 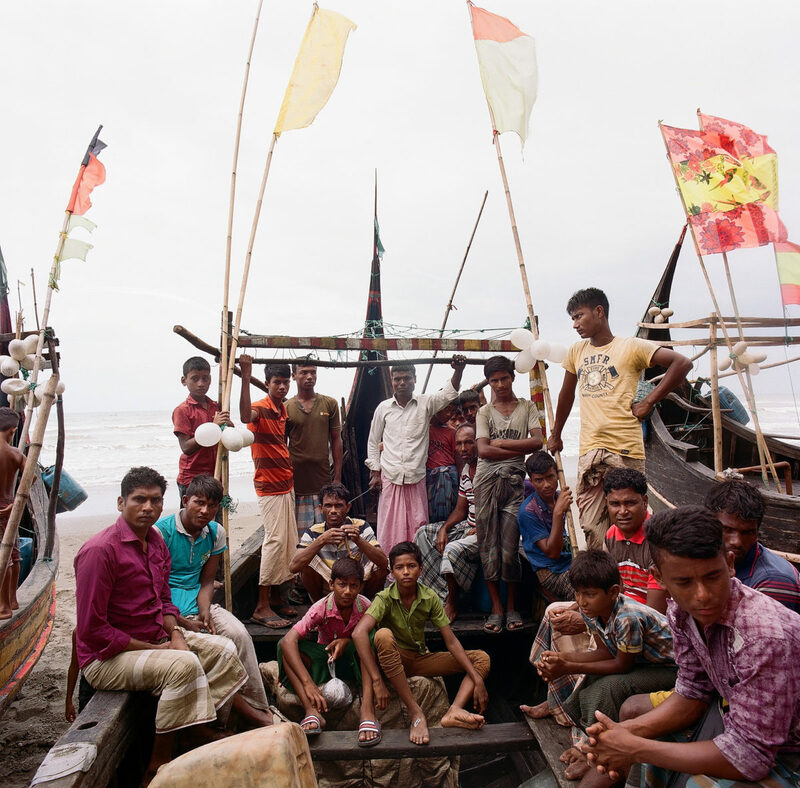 ANIRBAN members often speak to groups of fishermen at the port, warning them about traffickers. After having some threats from the traffickers, my family wanted me to stop. But I was not frightened, and I continued my activities. Sometimes the police and border guards and coast guard encourage us. They say, “We are behind you, so don’t worry. Keep going ahead.” As of today, we have managed to get five traffickers sent to prison. On May 25, 2015, it was reported that the graves of 139 people were found in the jungles of northern Malaysia. These people were thought to have died at the hands of traffickers. That could have been me. I was one of the lucky ones. I think that it’s my duty to save a person from the situation that I was in. I have to save these persons because they are my brothers, they are my neighbors. I have to save them. Rakib currently works as a driver, earning more money than he ever has. Married and the father of a 3-year-old son, he has held national leadership positions with ANIRBAN. He continues to work hard to prevent human trafficking. *Rakib’s name has been changed.